This is the simplest standard switching system for guitars that have a single coil on the bridge and Humbucker on the neck. 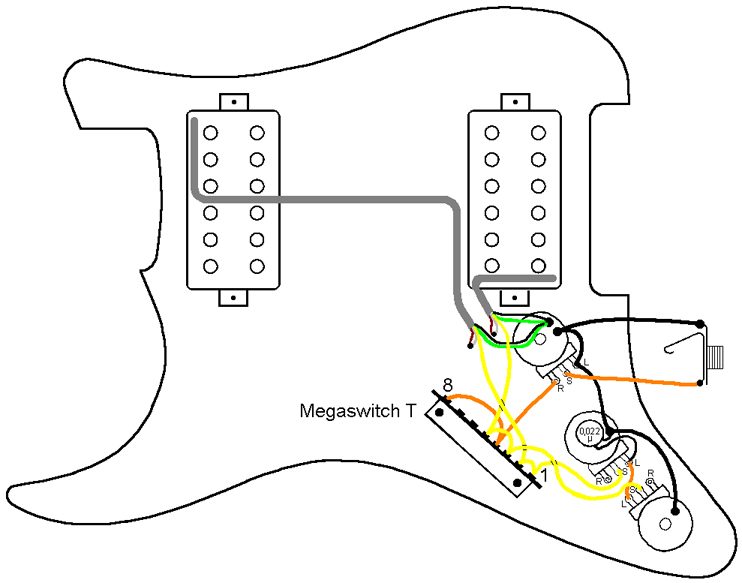 The switch has 3 positions and operates the bridge both parallel, and the neck. 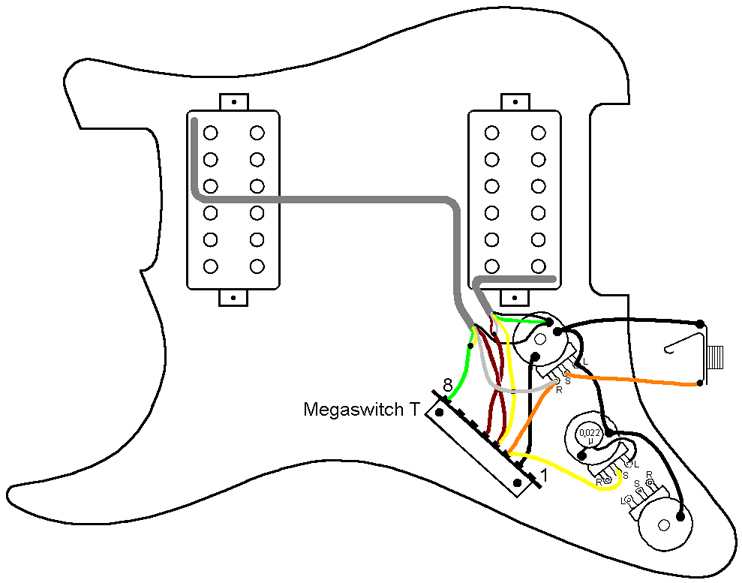 Each has its own tone control. 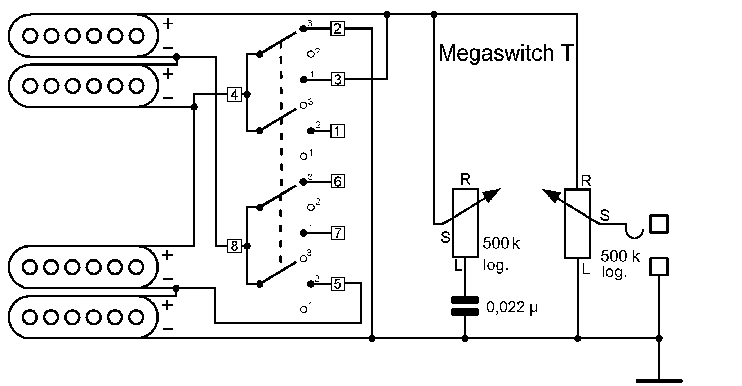 The Megaswitch T is ideal for this application. 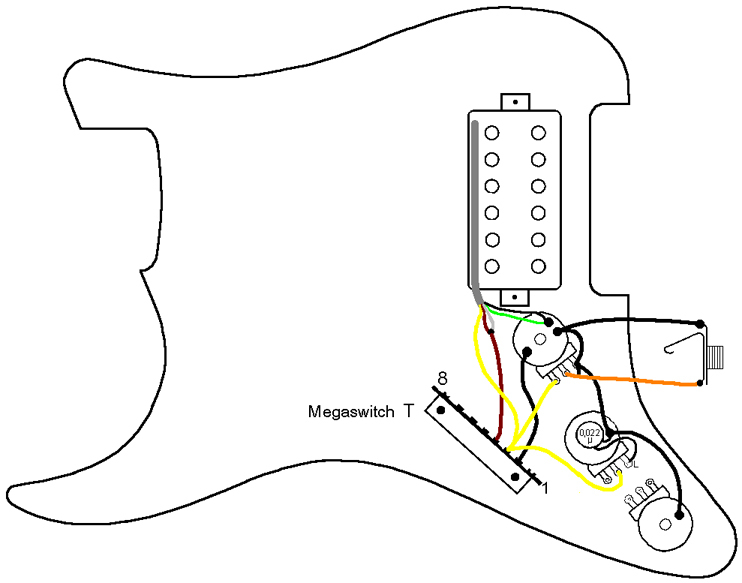 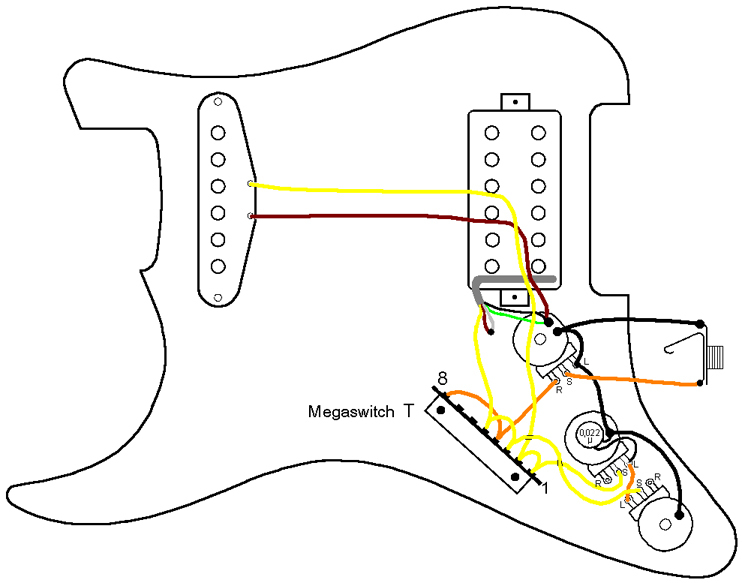 A Megaswitch can also be installed on guitars which feature a single Humbucker (usually on the bridge). 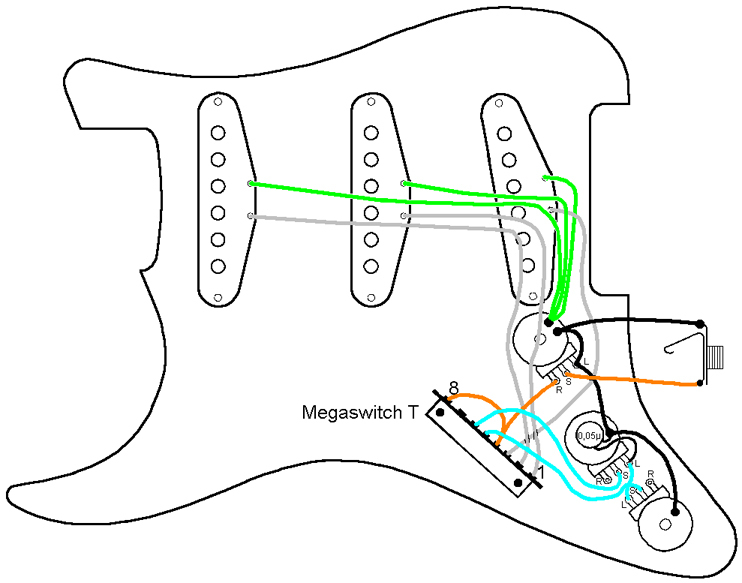 Both coils can be switched individually or in series, for example. 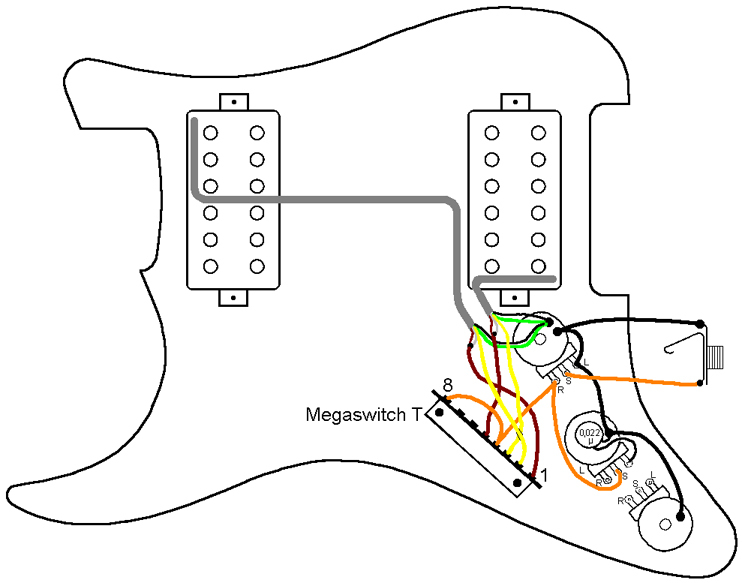 The Megaswitch T is ideal for this purpose. 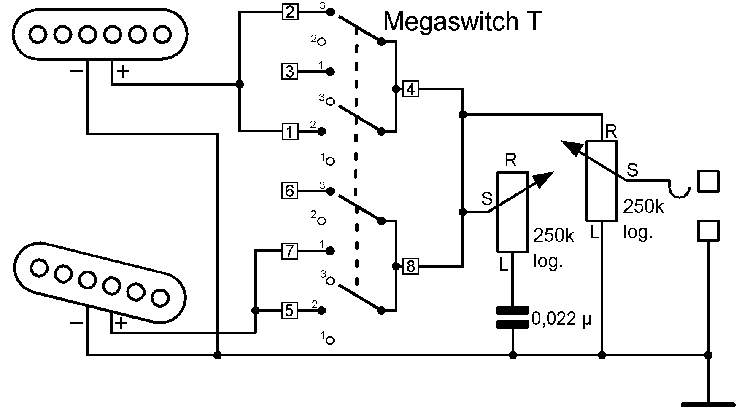 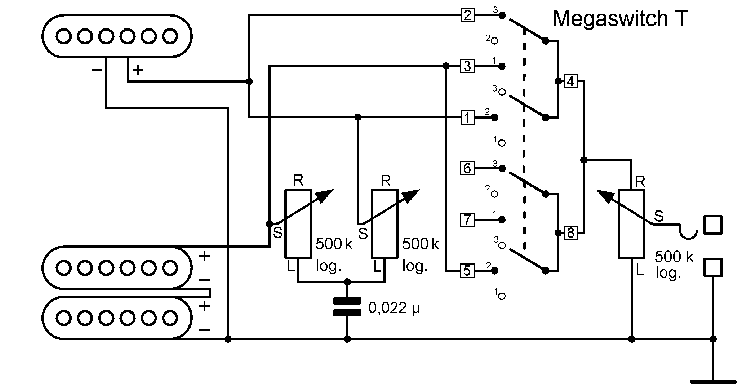 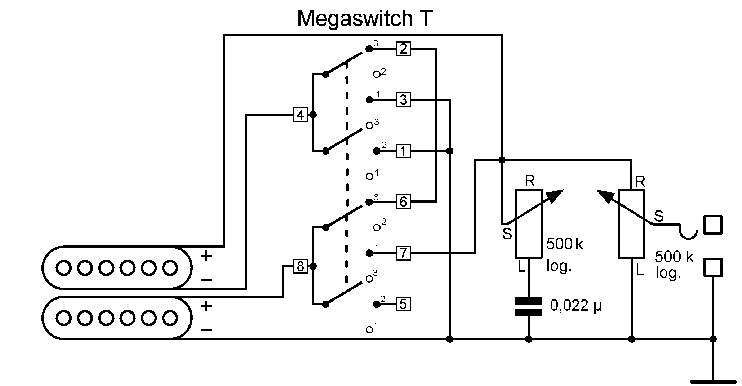 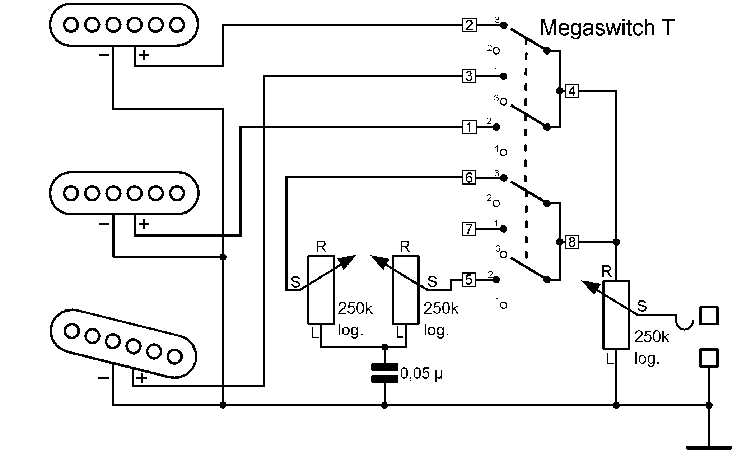 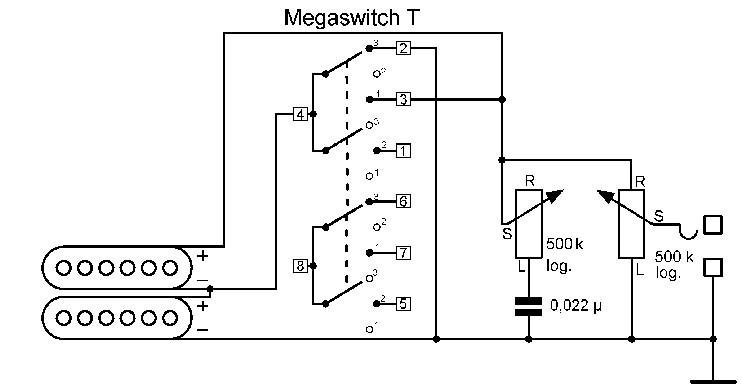 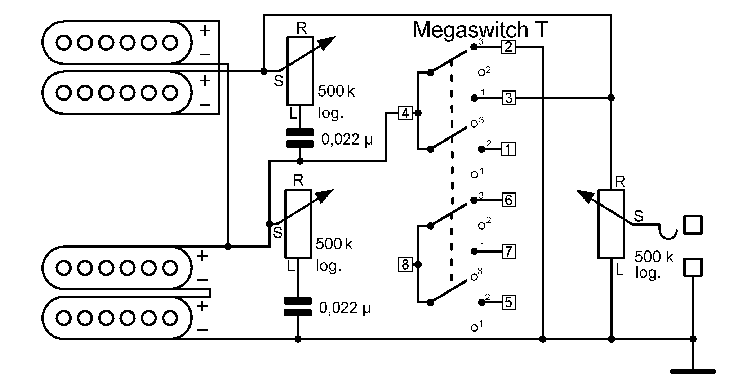 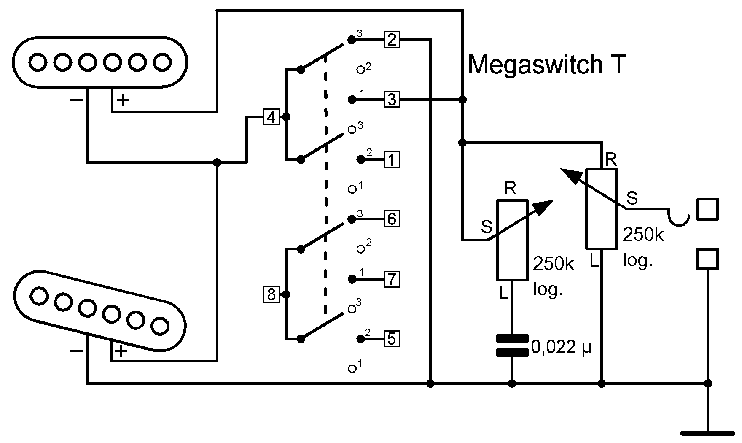 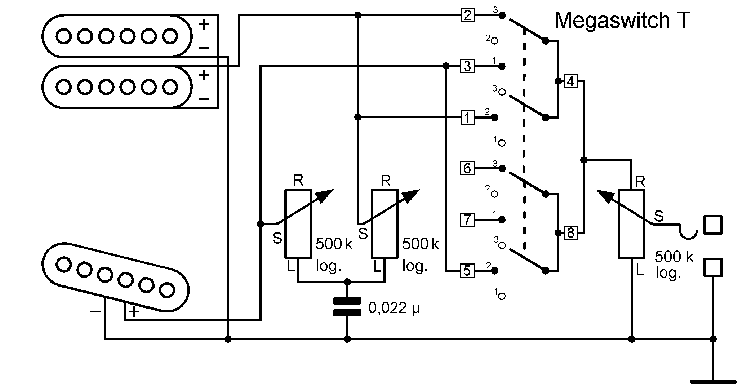 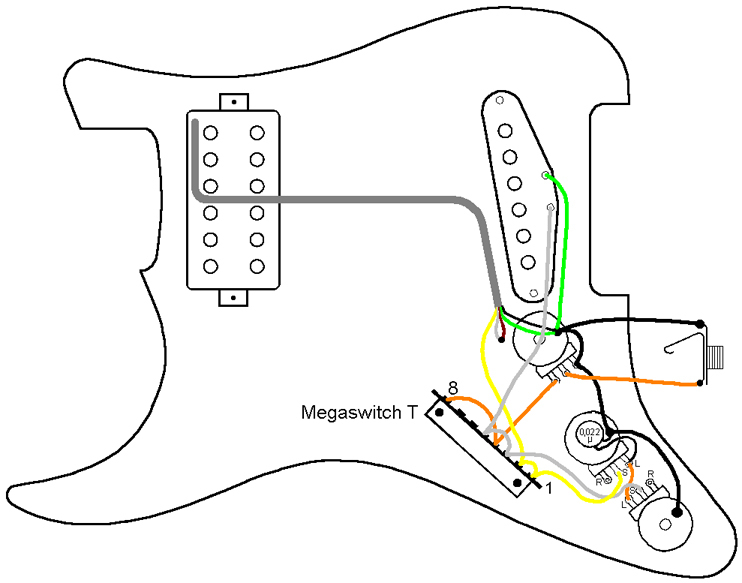 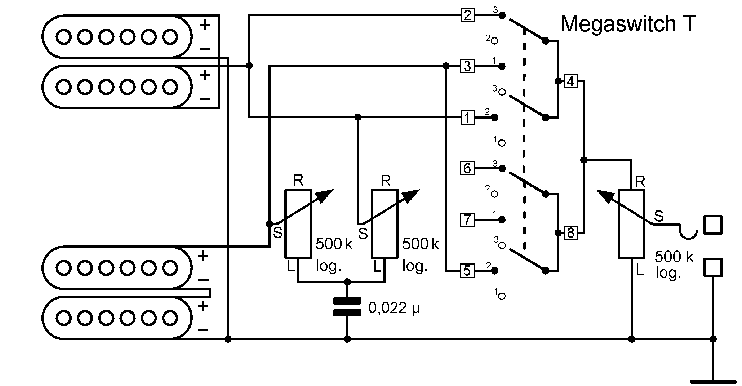 This switching system for guitars with a single Humbucker makes the following possible; parallel switching of both coils, single coil mode and switching in series. 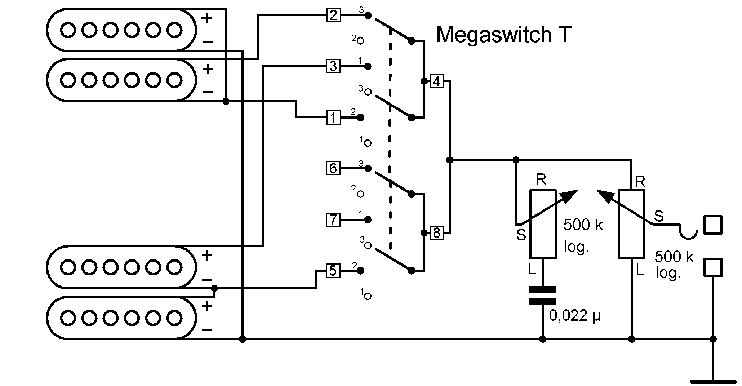 The Megaswitch T is ideal for this purpose.